The regions leader in Imaging. For Portraits of children, nobody comes close to us. 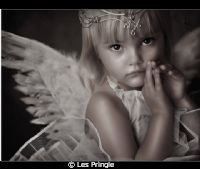 Listed into the top 3% of photographers in Europe, Master of photography Les Pringle is recognised as one of the leading wedding and portrait photographers in Britain today. Having lectured throughout the world on behalf of Fuji Film and Kodak to professional photographers on his unique style endorses his place in the top ranks of British Wedding and Portrait photography. Les Pringle is the only photographer in the North East of England to have achieved the highest rare and coveted Fellowship qualifications allowing Les to have Judged top competitions and professional photographic qualifications for thirteen years on behalf of the Master Photographers Association of Great Britain and the British Institute of Professional Photographers.